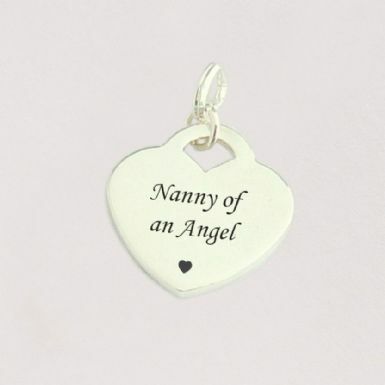 Sterling Silver Heart Charm on a Split Ring, Nanny of an Angel. 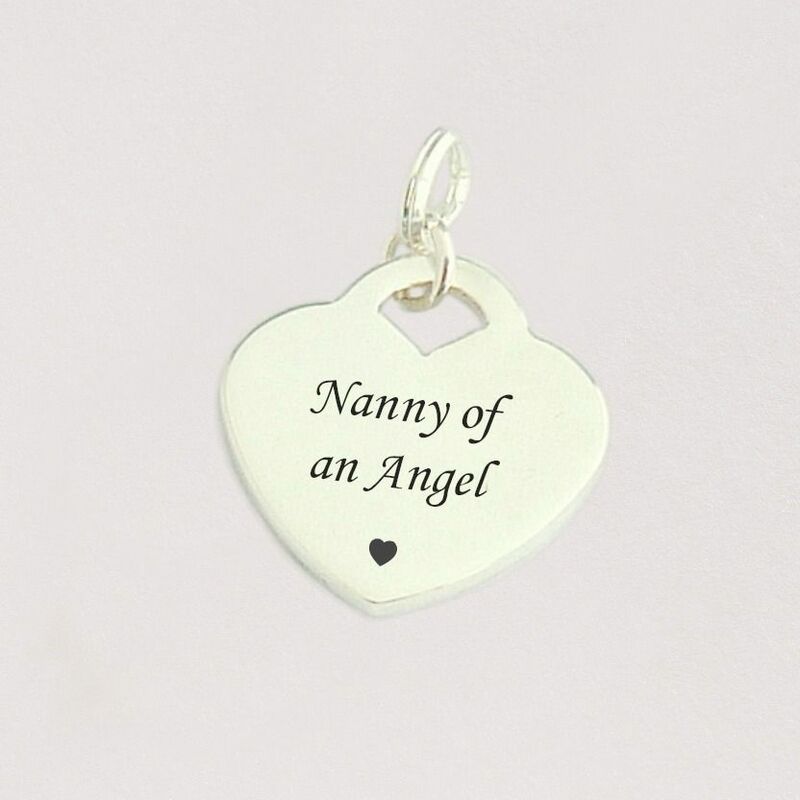 Can be personalised with your own words engraved on one or both sides. Express Delivery is now available on this item! 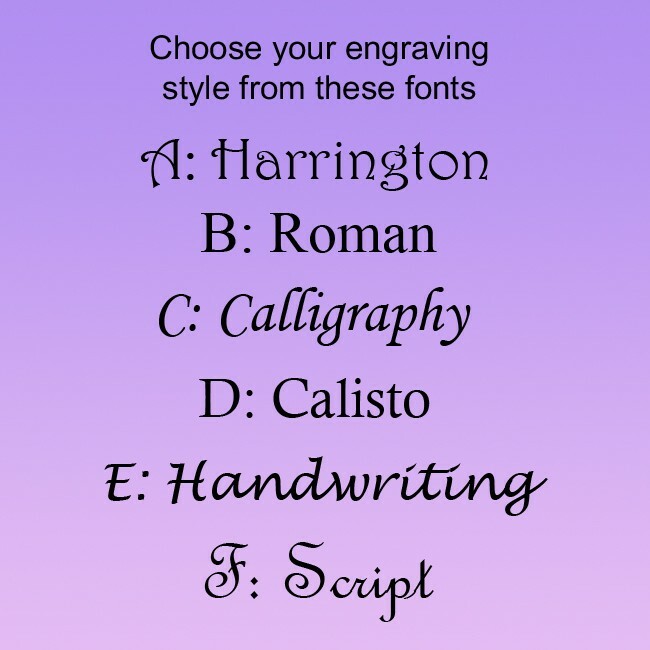 Choose your own words or the engraving shown in the picture. This lovely heart charm and the split ring are both .925 Sterling Silver. The Sterling silver split ring works just like a tiny keyring, for easy attachment to any piece of jewellery. 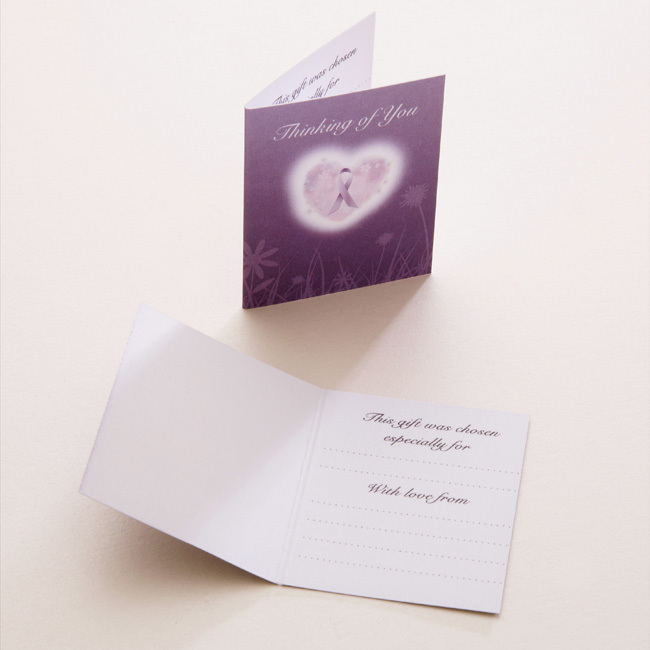 Supplied in your choice of a gift pouch or gift box. 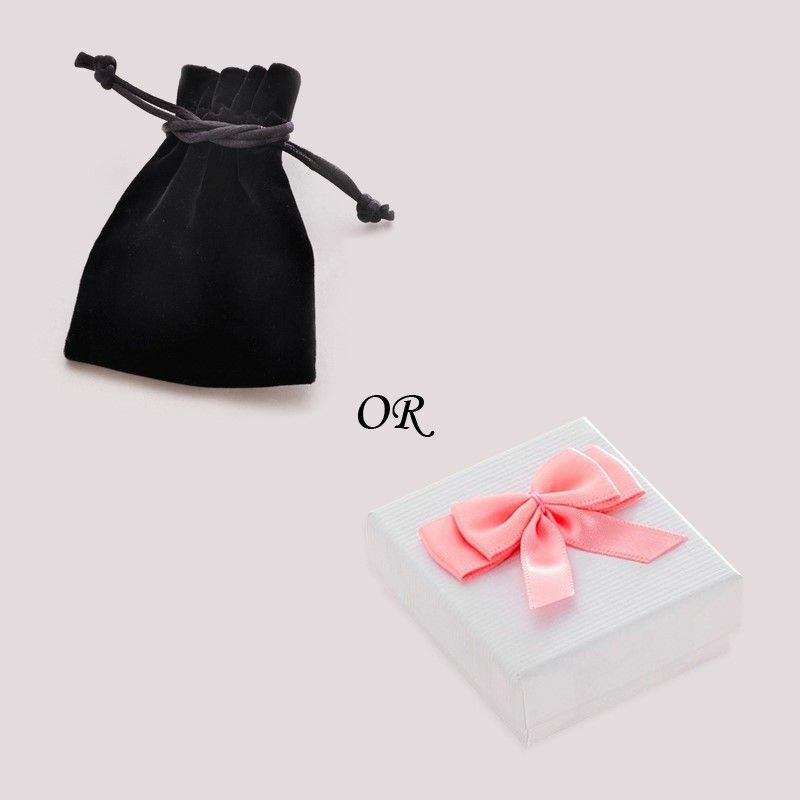 If you would prefer a blue or white bow on the box please just mention this in the Special Requests box. A gift card is also included. Size: 19mm x 17mm (not including the ring).